Your opinion is important to us, we are happy to assist you! When you need to contact a professional locksmith company in Bethlehem, Pennsylvania, please contact us. 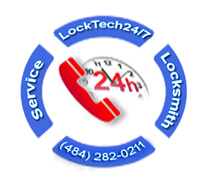 If you would like to get more information about LockTech24/7, please visit our About Us page to read more. Call us at (484) 282-0211, your local Bethlehem Locksmith. You can also send us an email refiling our contact form. If you have any question, looking for an estimate, or just want to share your experience with us, please contact us. We provide faster emergency locksmith service when you call us to our local mobile phone. Please describe the type of service you need, name, address, and phone number, and we will be on site withing 20 minutes of your first call. Whether you need automotive locksmith, commercial locksmith, or residential locksmith service, we can help. As we are local locksmiths in Bethlehem PA, we can provide a quick and fast service. When you call us, we’ll be there within 20 minute, as well as performing work on site in a fairly time manner. Don’t hesitate to call us day or night, as well to send us an email if you have any question or you like to schedule appointment. Please fill our contact form beneath. We’re here, ready to help.